The Unreasonable Institute wants to be a beacon for a certain type of entrepreneur: business-savvy humanitarians hellbent on tackling the world's social problems. 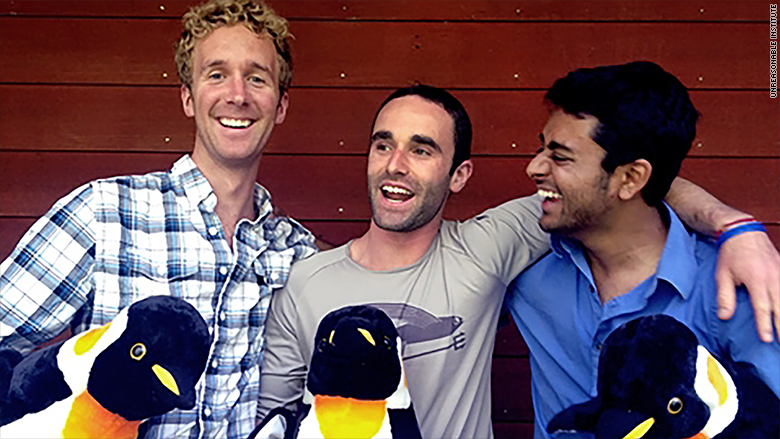 "We're not about ideology but about supporting ideas that actually work," said Teju Ravilochan, 28, who co-founded the Boulder, Colo.-based accelerator with Daniel Epstein and Tyler Hartung in 2010. In five years, it's graduated 116 startups (half of which are international) from its five-week program. 90% of its graduates are still in business and have raised a total of $90 million in seed funding. The accelerator takes a 2% to 4% revenue share in startups that come through the Unreasonable Institute. "Another way we measure our success is that these startups together have positively impacted the lives of 7 million people," said Ravilochan. 16 new startups are coming into the program this year, which kicks off on July 11. Ravilochan and Epstein, 29, met during their freshman year at the University of Colorado and bonded over a desire to address global challenges like poverty, pollution, education, health care and safe drinking water. "Our eureka moment was realizing that the best solutions will likely come from people who have experienced these challenges and have the most innovative 'unreasonable' solutions," he said. Their idea caught on. Today, the program has a network of 175 mentors and investors, including high-profile backers like tech entrepreneur Kamran Elahian, Google Glass developer Tom Chi and Wild Oats co-founder Libby Cooks. Kago Kagichiri and Toni Maraviglia are using low-cost mobile technology to improve the quality of education in East Africa. "We're an interesting duo. I was the teacher who hated technology and he was the techie who hated teachers," said Maraviglia. Their Kenya-based startup has an app that gives kids access to interactive quizzes, mini-lessons and a live teacher chat, all aimed at enhancing what they're learning in the classroom. They also provide tips and refresher courses to teachers. Since graduating from the Unreasonable Institute in 2013, the startup has reached 400,000 students in 5,000 schools in rural Kenya, and is expanding into Ghana. It hopes to be profitable in 2015. 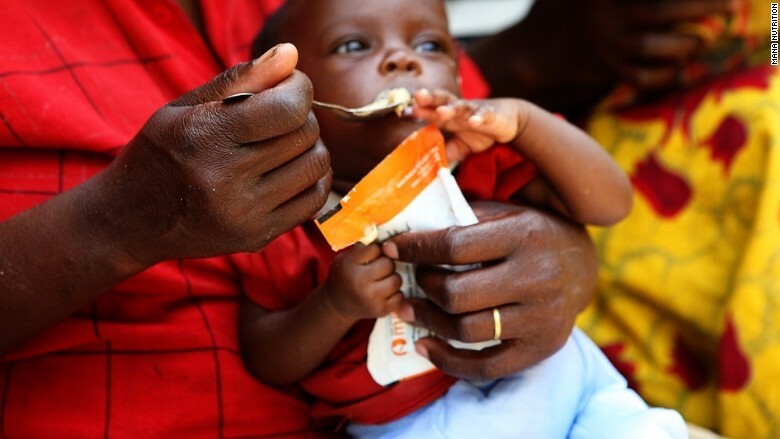 Charlotte, N.C.-based MANA Nutrition makes 500-calorie packets of nutrient-rich peanut butter for children with severe acute malnutrition (SAM). Studies show that six weeks of MANA cures 95% of kids under 12 suffering from SAM. MANA, a nonprofit, had distributed the packets to 300,000 kids and logged $2 million in revenue before joining the Unreasonable Institute in 2013. It developed Calorie Cloud, a technology platform that lets people track the calories they burn while exercising; corporate partners then match the calories by donating MANA packets to malnourished kids. Less than two years in, Calorie Cloud has run pilot programs with Firestone Bridgestone, JPMorgan Chase (JPM) and PepsiCo (PEP), which have provided more than 800,000 packets to children (each packet costs 33 cents). MANA has fed over 1 million children. 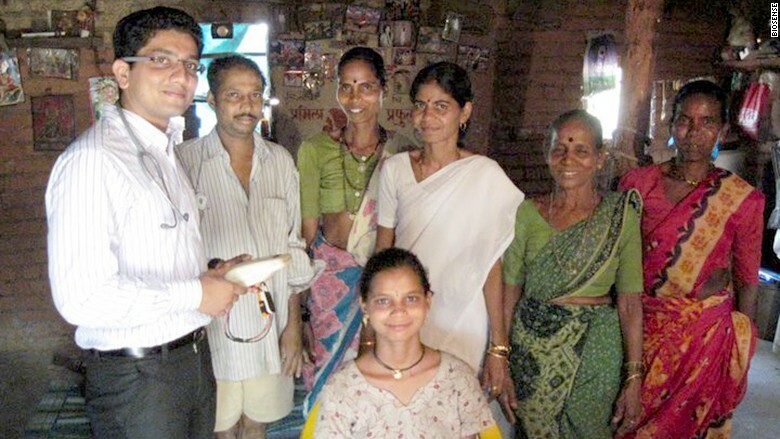 The biotech startup graduated from the Unreasonable Institute in 2011 and subsequently developed low-cost portable devices that diagnose blood-based illnesses in rural communities in India. They can diagnose anemia, gestational diabetes, pre-eclampsia and early-stage kidney disease in a matter of minutes, said co-founder Dr. Abhishek Sen. "This is critical because the speed of the diagnoses can save lives," he said. Sen said the Mumbai startup's devices have conducted more than 100,000 tests and are currently being used in 2,500 hospitals and clinics in small towns and villages. Iron deficiency is prevalent in Cambodia, affecting 6 million people, or nearly half of the country's population. Left untreated, it can result in anemia and more serious development problems in children. 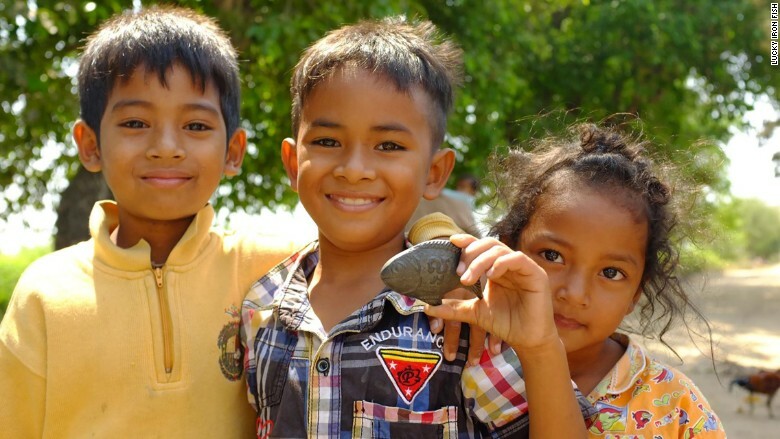 Lucky Iron Fish, based in Ontario, Canada, has a simple and affordable solution: a small cast-iron fish (a symbol of good luck in Cambodia) that can provide a family with up to 75% of their daily iron intake for five years. How does it work? Put the fish in a pan of boiling water for 10 minutes, remove the fish and add ingredients to the iron-enriched water. The firm, which joins the Unreasonable Institute in July, has sold 7,000 fish (priced at $5) in Cambodia, helping more than 30,000 people. In the U.S. and Canada, they sell for $25 -- and for each one purchased, one is donated. Co-founders Michael Lwin and Yar Zar Min Htoo launched their startup to address Myanmar's health care challenges, specifically the high maternal and child mortality rates. 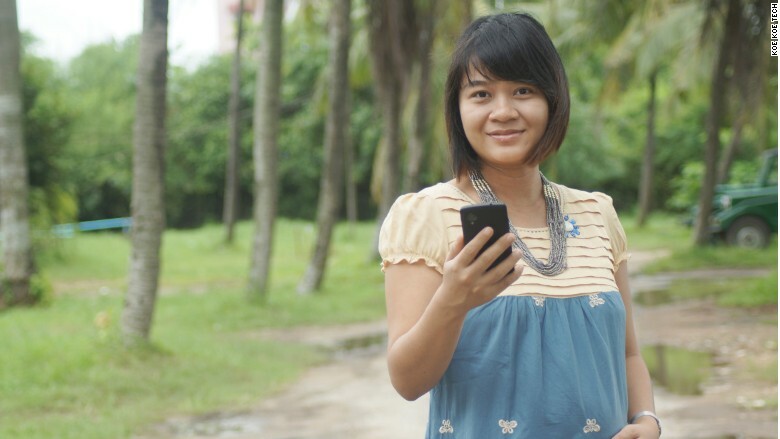 Koe Koe Tech, which also joins the Unreasonable Institute in July, will have its free app preloaded onto 600,000 low-cost smartphones for distribution in Myanmar next month. "We hope to have at least 1 million users of our app within three years," said Lwin. Correction: An earlier version of this story incorrectly stated the cost of MANA packets and how many had been distributed through Calorie Count.